Falconry Experience Northamptonshire Although we are based in Leicestershire it is well worth the short journey down from Northamptonshire . Northampton is approximately 40 minutes away. Read my reviews and see how happy people are and many travel from the home counties, Yorkshire and the West Midlands. On Our falconry experience day they will spend time with these magnificent lords of the air. They will see the fascinating relationship that develops between falconer and falcon. With our falconry experience Northampton day they will discover some of the skills required to train these remarkable raptors and many more fascinating facts. 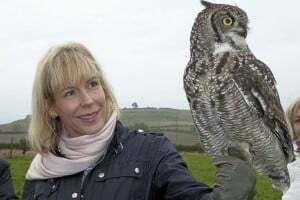 If they are interested in birds of prey or their place in nature’s intriguing food chain then they will definitely enjoy spending time with the birds on this unique experience. I can also guarantee that anyone who has enjoyed watching a nature program on TV will be well suited to this fantastic gift. They will be amazed and enthralled by this falconry experience day and they will leave with the unforgettable feeling of bonding with some of the world’s most enthralling creatures. So Good I'm Happy To Offer A Unique Money Back Guarantee. 1. If you find you have made a mistake and a birds of prey experience day present doesn't suit the recipient it can be returned within 30 days for a refund. 2. I also give you a money back guarantee the participant will enjoy themselves on the day. 3. Value for Money Guarantee. If, having done the experience, you don't think it has been value for money, speak to me and tell me why not and what you think it is worth and I will refund the difference. Refunds are the difference between your value for money figure and the cost of the experience excluding postage and gift packaging charges. 3. No small print (there are some terms) as I have found that the type of person I am dealing with is generally fair and sensible so there is no need for much. 4. If you need to change your booking at the last minute that's no problem, these things happen. Longer video of most aspects of the day: See visitors enjoying their falconry experience Northamptonshire gift. Buy the Best! 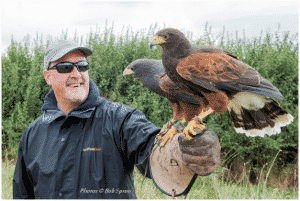 Buy a Bird on the Hand Falconry Experience Day! Making happy visitors for ten years! Our Falconry experience day give lots of time handling and up close falconry experiences. 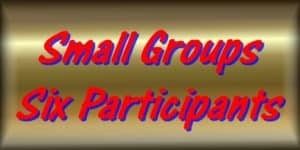 I have small groups of up to six participants (20-30 are not uncommon elsewhere). Marvellous birds and a generous welcome on all my birds of prey experience days. I have a great location here in the countryside. We concentrate on being with the birds with you handling, flying, feeding and finding out all those special fascinating facts. I like lots of questions and delve into my 45 years of falconry experience to answer them. Tea / Coffee & Biscuits break to refresh you. Who would like a falconry experience ? 1. They notice wild birds of prey. 2. They watch nature programs. 3. They like being outdoors. 4. They are a keen gardener. 7. They feed the garden birds. And remember, if you get it wrong you can get a refund. You cannot truly appreciate how amazing and beautiful these stunning birds are until you have paid a visit to Bird On The Hand. Andrew and Boris will take you on a bucket list experience. Be warned though this can be very addictive, we want more!!! Tracey n Andy (A review of their falconry experience day). A Bird on the Hand . 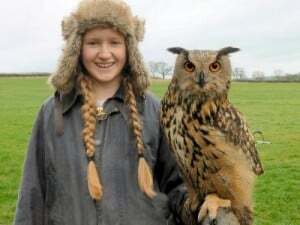 Packed half day hands on falconry experience day that is both fun and educational. Your session will be spent seeing, handling, feeding & flying many types of bird, which include several species of Falcon, Hawks, Owls and Eagle. This is without question a great introductory experience for young and old alike giving a full hands on and flying experience with the birds..
All falconry experience days covered by our money back satisfaction guarantee so you can give this gift in complete confidence. Our Most Popular Falconry Experience! This action packed full day takes place out in the countryside with the morning being spent getting to know the birds. Your opportunity to be up close feeding handling and flying some of our favourite stars. We then have a great lunch with a great view. The afternoon is spent out on the farm. In summer we usually fly an eagle or European Eagle Owl and then we are out into the countryside for a walk with a team of Harris hawks who show there natural capabilities while popping down to you for the occasional titbit. In winter we are out with the Harris Hawk hunting team plus ferrets. An experience of a lifetime for only £149.99 inc lunch. They are Cute, Fascinating and Amazing. A fantastic memorable experience with our owls. Actually lots of owls on the hand! A superb and unique experience for all owl fans! 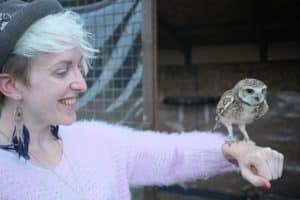 Get an "Owl on the Hand" experience and fly a variety of fantastic owls from the smallest to the largest. Owls are the most mysterious group of birds, they stir amazing passion in owl lovers and admirers. See them fly and feed and handle them. Learn all the fascinating facts about this enigmatic group of raptors. A three hour unmissable experience for all owl enthusiasts. Falconry experience Northamptonshire, Nottinghamshire, Warwickshire and Derbyshire are all within easy travelling distance and we are sure you will find the journey well worthwhile. Great days up close flying, handling and feeding fantastic raptors. Full day includes lunch and an extended experience getting to know more about the birds with more extensive flying and handling. 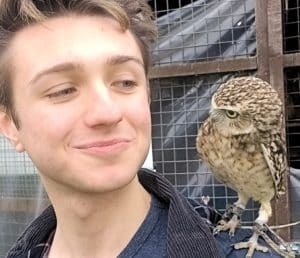 Get up close and personal with a wide variety of owls. See them fly and feed and handle them. Learn all the fascinating facts about this enigmatic group of raptors. This is a three hour experience not to be missed by any owl enthusiast. This is a private session for just your group. Recommended numbers up to 8 participants but larger groups are ok but you have to accept that there is less handling per participant. From an informal enjoyable get together to a more structured team building event. Get in touch to discuss your requirements. During the break between ceremony and reception our birds will be available for your guests to hold and get an up close experience. We can also provide flying sessions where some of the birds will fly free to you and to your guests fists. Have a 90 minute private session with he birds. Suitable for children's parties but it can be whatever you want. I provide personalised gift vouchers valid for 12 months. These can be for your choice of experience or a money value. Children are welcome from about seven upwards. There are options for companions to join in the fun and they will have a great time too. I know how important it is to give a great day out. You have to trust the supplier to provide a gift that excels. I know you are not here to buy anything less than the best you can, so I take my part in this seriously. I promise do my best to give your special person the time of their life. Quick video: Dotty the owl and Jack on a snowy day. Any doubts? 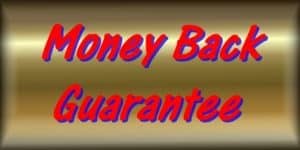 Check out my money back guarantee (the link opens a new tab) . Read some of my visitor comments and see for yourself how much my days are enjoyed. On behalf of both Mark and myself, I wanted to write and say how much we enjoyed the Falconry Adventure day yesterday. It was great fun, extremely informative and such an experience to get "up close and personal" with your beautiful birds. You have a wonderful setting and to be able to see the hawks hunting with the help of Bertie and the ferrets was brilliant; just a shame the rabbits got away!!! Seriously though, we both loved the day, it exceeded expectations and we would be very keen to hear about any Hunting days that you may put on around the country, and as we said, we are prepared to travel. We were also very impressed with your B&B room which has been delightfully furnished and was extremely comfortable with a delicious breakfast. Many thanks again for making the whole experience so good. Birds of Prey and Kids. Get them out in fresh air with the birds. They will love it. Click for more info.